Nature3D is beautiful 3D screensaver. 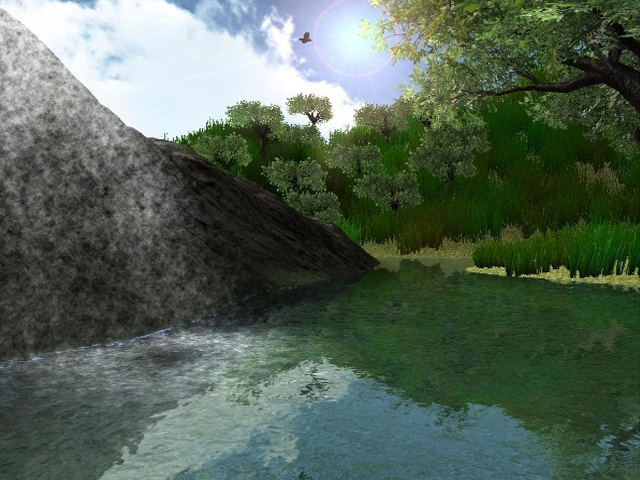 View a relaxing field, waterfall, trees, birds, and the bright sun. And it`s all accompanied by pleasant sounds of the waterfall, the rustle of leaves and singing birds. Nature3D is beautiful 3D screensaver. View a relaxing field, waterfall, trees, birds, and the bright sun. And it`s all accompanied by pleasant sounds of the waterfall, the rustle of leaves and singing birds. Screensaver automatically adjusts to your screen resolution therefore, so it will look great on any monitor. A new free screensaver called Cowboys from the collection of new free screensavers from http://www.newfreescreensavers.com. Free screensavers. No spyware, no adware, virus-free. It's safe to install and run.